Beehive cluster photo by NASA / IPAC/Caltech (Public Domain - US Gov). "This symbol, composed of a hive of stars, transposes our beehive symbol to a new and grand level as we enter our second century as a group of people living in a place where we can still see, with our own eyes, the beautiful and dim features of the starry universe." 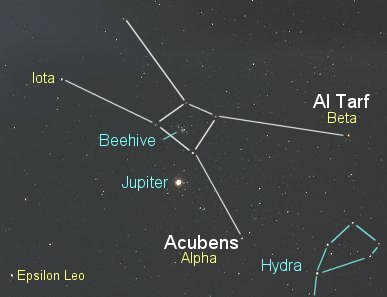 Visible to the naked eye as a small cloud in the constellation of Cancer, the Beehive is a very large and bright open cluster of stars. 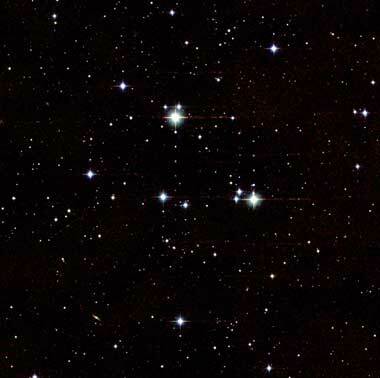 The beehive cluster was known as Praesepe in ancient times and is referred to as M44 (Messier object 44) by modern stargazers.